Years ago I had one of the most memorable trips of my life. 4 guys loaded into a dodge Magnum, and made the 23 1/2 hour drive (straight through) to our friends place in Austin, Tx. Now why would we do this you ask, and how can it be memorable? Well it was the start of a world wind football weekend that started with the Cowboys vs The Packers on the Thursday, and then the now 5 of us loading into that same Magnum on Saturday morning and making the 8 hour drive to Kansas City to watch the Chiefs play the Chargers. Now I could talk for hours on all the amazing stories that happened on that trip, but the one take away that I will share with you today, was the love that I came away with for the fine taste of Southern BBQ. So for years now I have been trying to replicate that amazing experience on my own grill, and now after all of that experimenting, I don’t have to any more…someone else has perfected it for me. LOL!! There is only one possible answer…. All of it!!!!!! 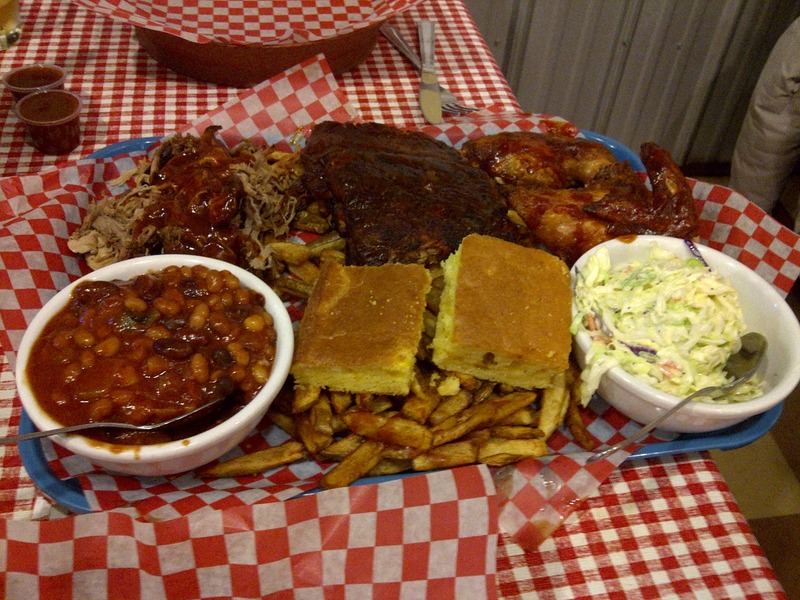 It includes: 1/2 a slab of St. Louis style Ribs, 1/2 a BBQ chicken, and your choice of Beef Brisket, or Pulled Pork for the proteins, then for the sides, baked beans, coleslaw, cornbread, and your choice of potato salad or fries. Well let me tell you, after diving head first into this wonderful mass of food, as their slogan says “We feed your soul”, My soul was now at rest knowing that the long journey of trying to recreate my experience from that football trip years ago was now complete, and also in knowing that I can relive those great memories, and create new ones, any day that I want. 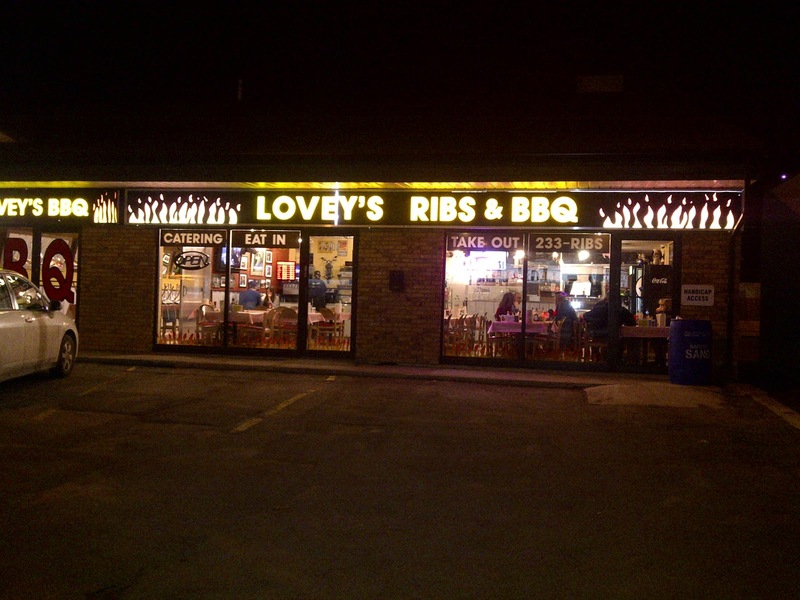 So please head down to Loveys, I promise that you will have a great experience in a great atmosphere with of course great BBQ!!! Next PostThe secret to the best sandwich is….. Your review is very comprehensive and the photos are great. The “Mixer” looks huge, thankfully there were two of you for the meal. We were happy with our choices there too, and will be going back again. 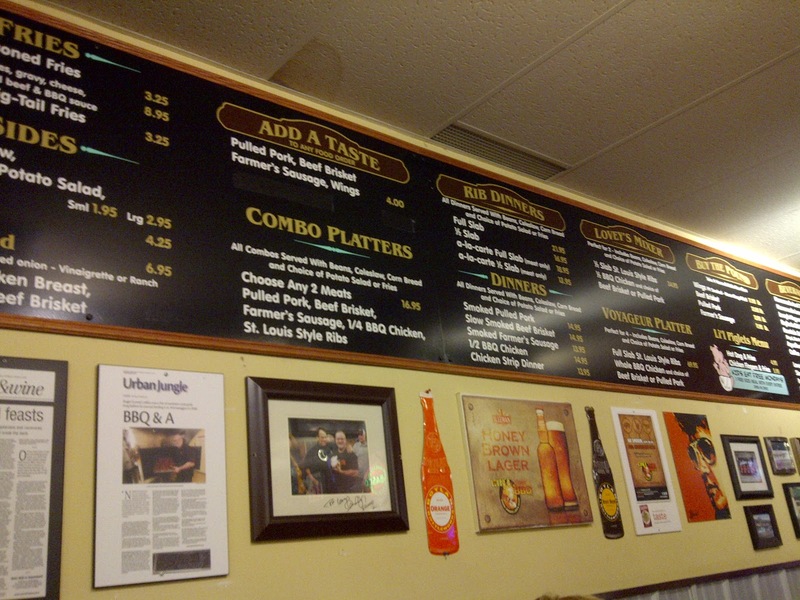 My first exposure to southern BBQ was in Dallas, Texas and with Lovey's I don't have to dig out my passport. Great review, Awat!